Deputy National Police Commissioner General Pol. Gen. Wirachai Songmetta. 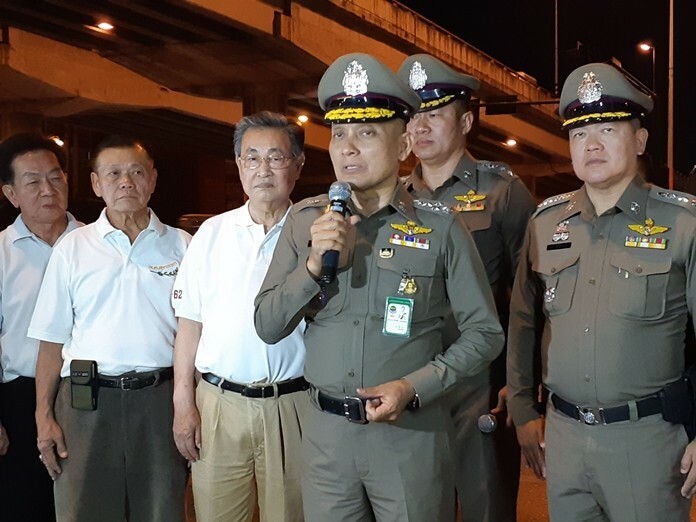 Bangkok – The deputy National Police commissioner general has warned that any motorists who drive their vehicles while under the influence of alcohol and cause deaths to others might be faced with intentional murder charges. Deputy National Police Commissioner General Pol. Gen. Wirachai Songmetta said the police have launched a nationwide campaign against drunk driving and speeding during Songkran festival. Drunk or careless motorists will be arrested under the Land Traffic Act, which warrants a one-year term in prison or 5,000 to 20,000 baht in fines. The deputy National Police commissioner general also warned that motorists should fasten safety belts while driving and motorcycle riders wear crash helmets. All motorists are strongly suggested to strictly follow the traffic rules. Wirachai advised that those who are given traffic tickets to pay fines abide by the law as the police now have data links with the Department of Land Transport, which is responsible for the yearly renewal of automobile licenses.